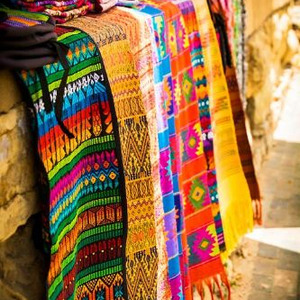 Turipo - Santa Fe vacation. 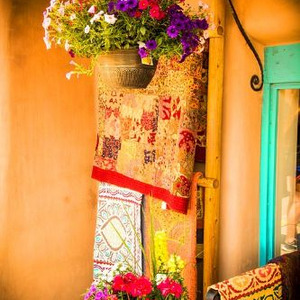 Santa Fe is the oldest capital in the U.S., and is steeped in culture from Native American, Spanish, and Anglo tradition. 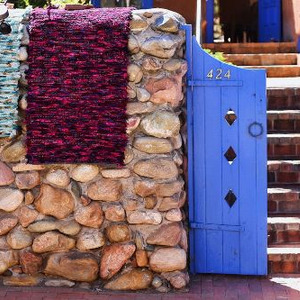 Here you'l find the best things to do in Santa Fe vacation, Santa Fe attractions: Santa Fe botanical garden, Santa Fe Farmers market, Santa Fe flea market, Santa Fe hot springs, Santa Fe indian market, Santa Fe hotels and restaurants. 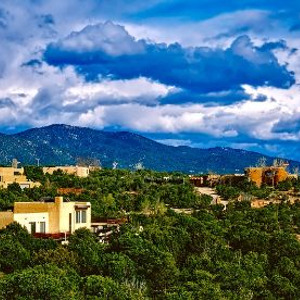 Description: Santa Fe is the oldest capital in the U.S., and is steeped in culture from Native American, Spanish, and Anglo tradition. 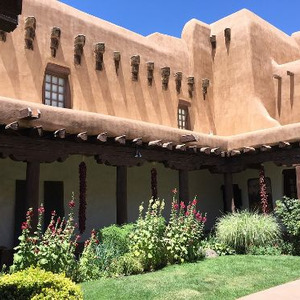 Here you'l find the best things to do in Santa Fe vacation, Santa Fe attractions: Santa Fe botanical garden, Santa Fe Farmers market, Santa Fe flea market, Santa Fe hot springs, Santa Fe indian market, Santa Fe hotels and restaurants. Santa Fe Regional Airport is ten miles southwest of Santa Fe, in Santa Fe County, New Mexico.The Santa Fe Regional Airport opened in 1941. The airport had seen an increase in airline flights, with 43,329 passenger boardings in calendar year 2011 and 47,847 in 2012. 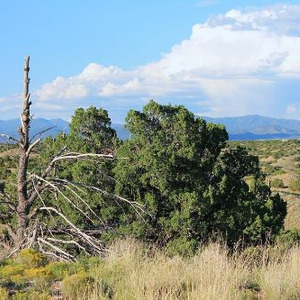 The National Plan of Integrated more.. Airport Systems for 2011–2015 called it a general aviation airport based on enplanements in 2008, when Santa Fe had no airline service while airport officials awaited federal approval of an environmental impact assessment. 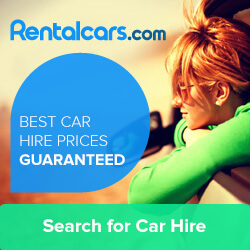 However, as of the 2019-2023 NPIAS, it is listed as a commercial service - primary nonhub airport. 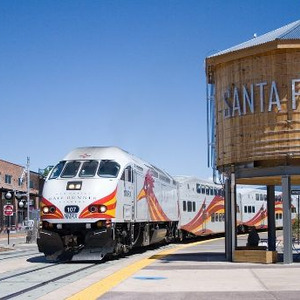 As of December 15, 2016, Santa Fe is now served by American Eagle with regional jet flights to Dallas/Fort worth and Phoenix and by United Express with regional jets to Denver. less.. 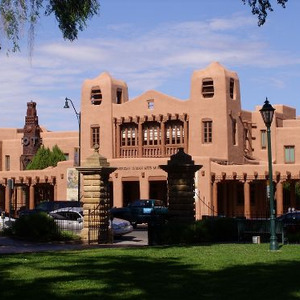 The Santa Fe Plaza is a National Historic Landmark in downtown Santa Fe, New Mexico in the style of traditional Spanish-American colonial cities. 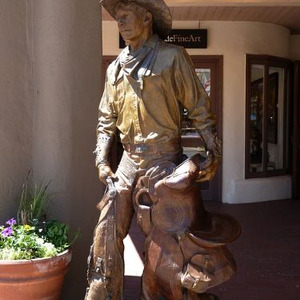 The plaza, or "city-square", was originally, and is still to this day, the center gathering place in town. 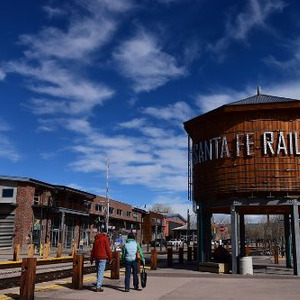 Many know it as "the heart of Santa Fe". 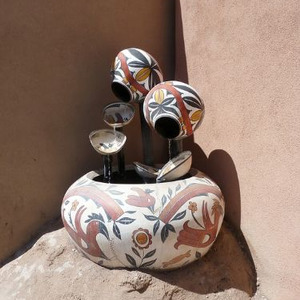 The more.. landmark has since grown into a playground for many tourists interested in Spanish, Native American, and Mexican cultures, and includes music, design, jewelry, art and dance. 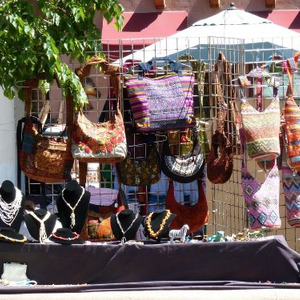 Known to locals simply as the "Plaza," it is home to annual events including Fiestas de Santa Fe, the Spanish Market, the Santa Fe Bandstand, and the Santa Fe Indian Market. Listed on the National Register of Historic Places, the Plaza consists of a central park lined with grass, trees, and benches, which add to the cultural scenery, especially at Christmas time when the Plaza streets and buildings glow with farolitos and the occasional luminaria, and trees glow with lights. 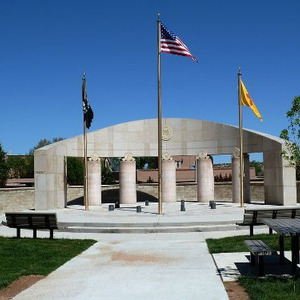 Included in the park is an American Indian War Memorial monument as well as a performing arts stage. 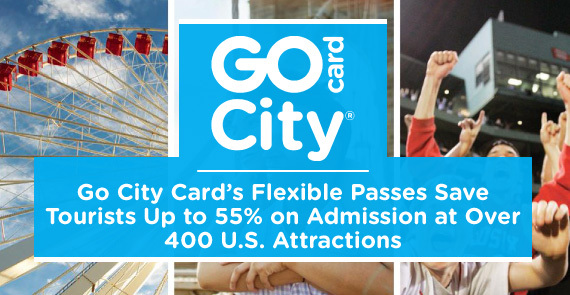 Encompassed in the general Plaza area are historic monuments, restaurants, businesses and art galleries, including the Palace of the Governors, the New Mexico Museum of Art, Cathedral Basilica of Saint Francis of Assisi, and the Loretto Chapel. 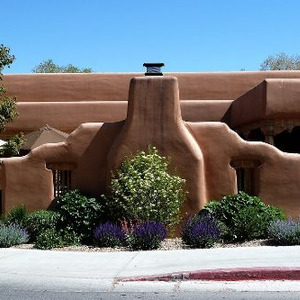 In true pueblo fashion, the Plaza architecture is traditional adobe. 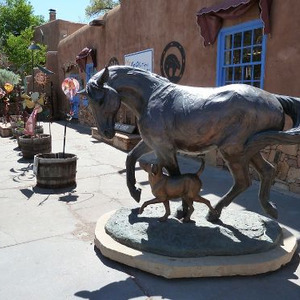 Just 16 miles from the Santa Fe ski basin, the Plaza dates back to the early 18th century when Santa Fe was settled by conquistadors. Until the mid-19th century, the Plaza lacked landscaping, and ownership of the area transitioned between the Spaniards and the Mexicans throughout the earlier years. less.. 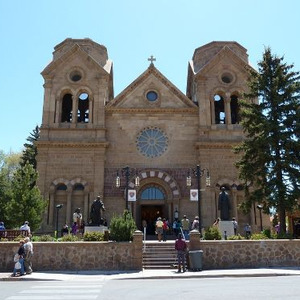 The Loretto Chapel in Santa Fe, New Mexico, USA, is a former Roman Catholic church that is now used as a museum and a wedding chapel. 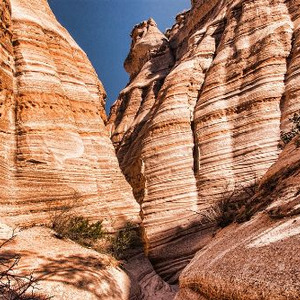 It is known for its unusual helix-shaped spiral staircase. The name and origin of the builder have still not been verified. The Sisters of Loretto credited St. Joseph more.. with its construction, at the time. It has been the subject of legend, and the circumstances surrounding its construction and its builder were considered miraculous by the Sisters of Loretto. less..